Cologne (Köln) is Germany's fourth largest city. The network is a mixture of underground and surface lines. 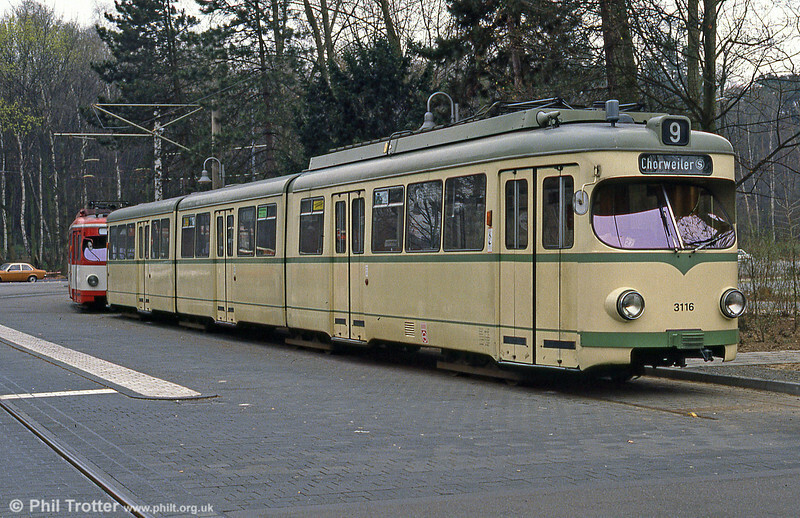 Duewag car 3116 at Konigsforst on 1st April 1991.